This recap will cover the WDW Marathon Weekend expo. 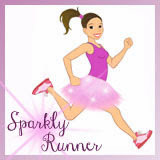 Stay tuned for recaps of the 5k, 10k, Cigna Blogger Event, the WDW Half Marathon, and the WDW Marathon! The Walt Disney World Marathon Weekend holds such a special place in my heart; in 2014 I ran my first marathon as part of the Dopey Challenge (and met all of my running ohana for the first time in person! ), in 2015 I got to finish my dad's first marathon with him, and in 2017 Matthew and I ran the full marathon together and then celebrated on a cruise ship. So many great memories are made during this weekend and 2018 was no exception. 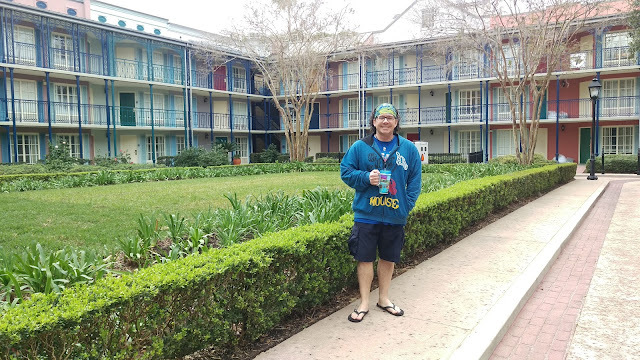 For 2018, Matthew and I flew down to Orlando on a Tuesday. 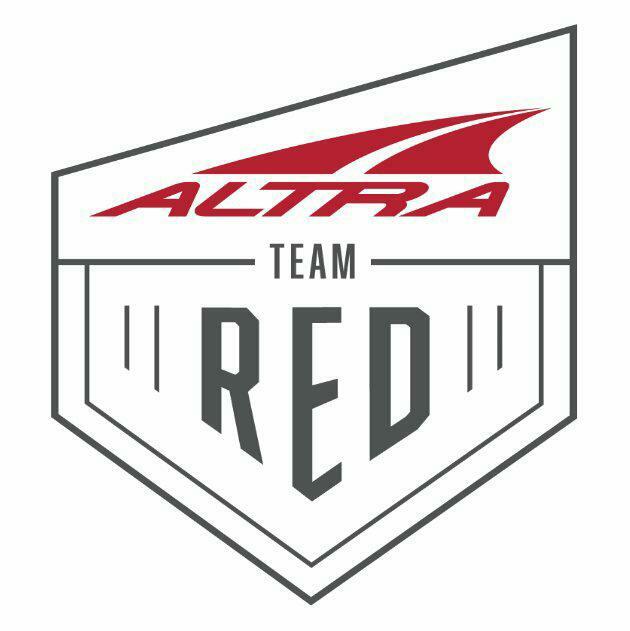 We always like to schedule our flight to come down a few days before the first race (5k on Thursday) just in case our flight would get delayed or canceled- we'd still have some time to catch a later flight or arrange other travel arrangements. 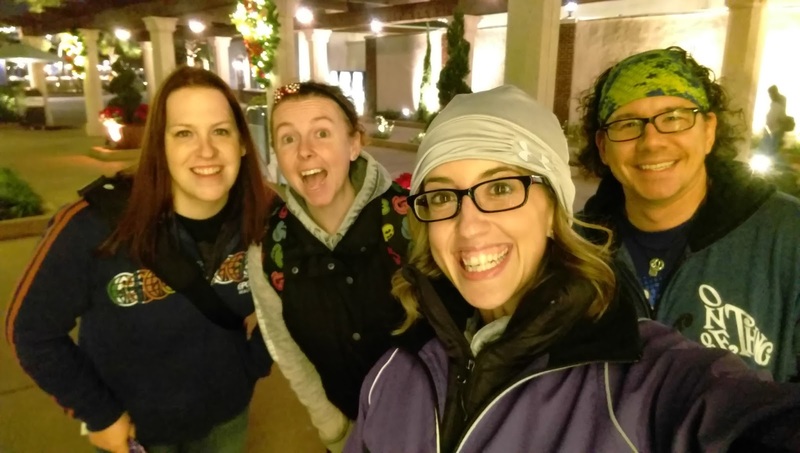 This year we stayed at Port Orleans French Quarter which was the first time we didn't stay at a value resort for this particular race weekend- we'd actually stayed at French Quarter for my first runDisney race, the Princess Half Marathon in 2012. When we got to Disney on that Tuesday, it was too cold to swim (our original plan) with temps in the 40's, so we unpacked a bit and then took the river boat at the resort to Disney Springs instead. Lucky for us, we were able to meet up with Dani and Tori for dinner at Blaze. 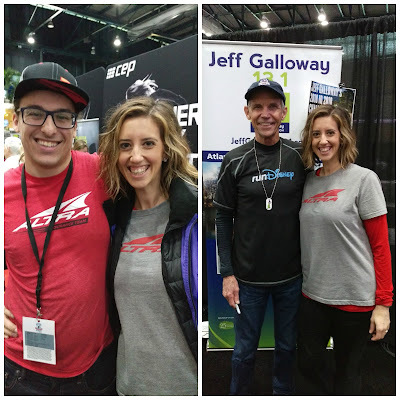 The last time we saw them was at our wedding a year and a half ago so it was so awesome to catch up with them before the hustle and bustle of race weekend started. 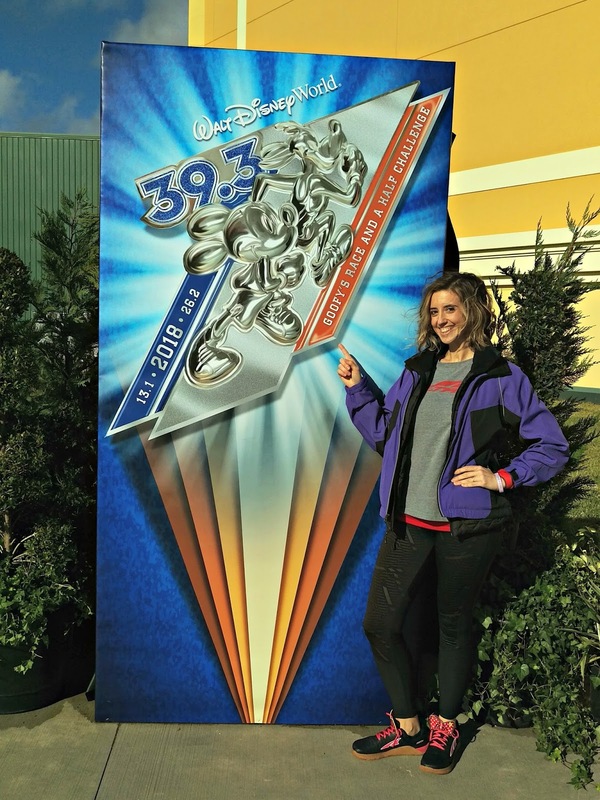 Fun fact, we first met Dani during WDW Marathon Weekend 2014! Internet friends are the best kind of friends! After browsing lots of shops at Disney Springs, we said our goodbyes to our friends and headed back to French Quarter to get a good night's sleep before the expo the next day. After our run, we got showered and then headed to the buses to get to the expo- it opened at noon and we were able to get on a bus at 11:30 am. We arrived to Wide World of Sports (WWOS) a few minutes after noon. As soon our bus pulled into WWOS, it started pouring down rain. With temps in the 40's, the rain made it feel 15 degrees colder! 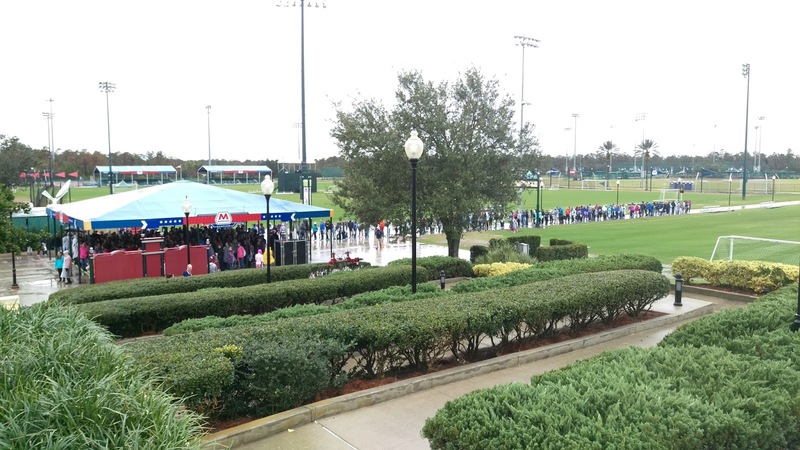 We got up towards the building to get Matthew's Dopey Challenge bib and there was a long line outside the HP Field House. So we waited. In the rain. And the wind. It was an unpleasant 15 minutes until we finally got inside. All smiles... before we saw the lines. Once inside, Matthew picked up his bib, got his picture taken (for the challenge medals), and then picked up his race shirts. We thought then we'd be able to go down to the floor level to see the official merchandise like we had in year's past- we were wrong. Official merch area. The line to check out is on the left side. New for this year, runDisney only allowed a certain number of people into the official merchandise area at a time- similar to a night club. Naturally, a line formed to get into the merch area. Eventually that line circled the field behind it. ...until a cast member told us the estimated wait time was two hours. Two. Whole. Hours. Just to look at shirts and magnets and mugs?! In the freezing cold rain?! No thanks. We passed on the official merch and headed to the Visa Athletic Center to pick up my bibs and shirts. Once I picked up my bibs and race shirts (which was SUPER easy), we headed to runner relations to see if I could upgrade to the Goofy Challenge. 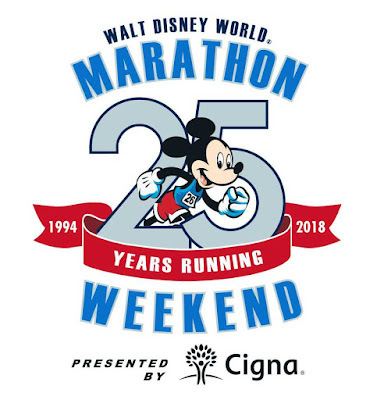 Since I'd registered for the half marathon and marathon separately, I wasn't technically running the Goofy Challenge- I would have had to register for the challenge on its own, not just register for the two separate races. 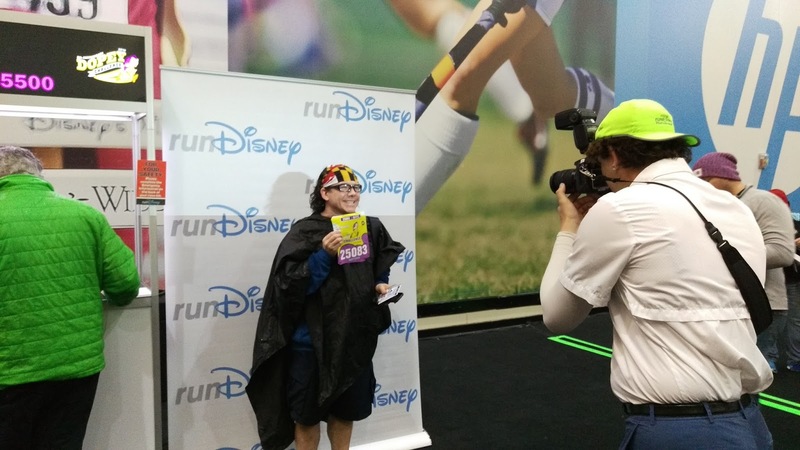 At the runner relations booth, I explained my situation and asked the runDisney staff member if I could possibly be entered into the Goofy Challenge- I told her that I really didn't need the Goofy Medal, I really just wanted the shirt. She told me I couldn't be entered into the challenge but that I could go buy a shirt over in the other building. Whomp, whomp. Banners hanging inside the Visa Athletic Center. After visiting all the places we wanted, we headed outside where the sun had finally come out. We stopped for a few pictures and then headed back to French Quarter to get ready for our first of four super early wake up calls. All in all, this wasn't the greatest expo experience for us. 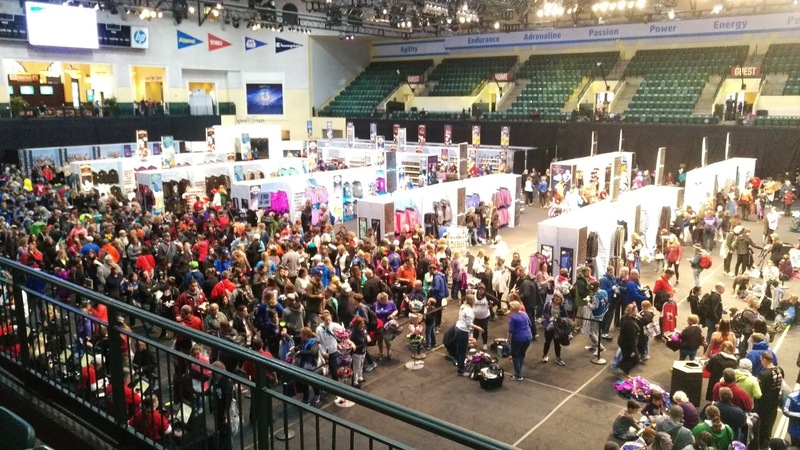 The super long lines were disappointing, we missed seeing some of the usual vendors (Sparkle Skirts, Champion, New Balance), and the way it was organized and laid out was a bit confusing to navigate. 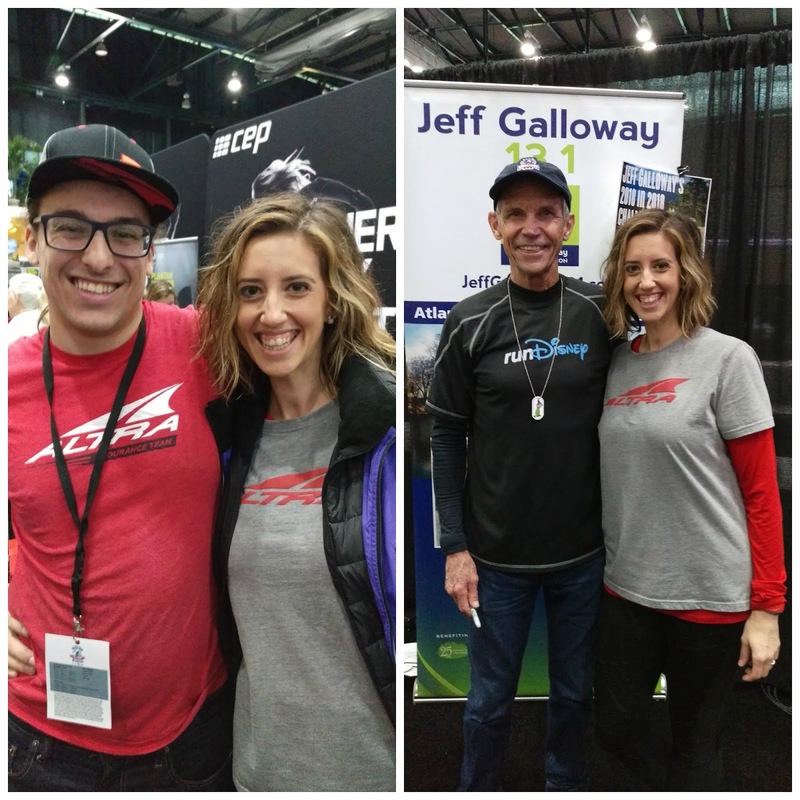 However, it was awesome to see Altra, chat with Jeff Galloway, and I was pleasantly surprised with how quickly and easily I was able to pick up my bibs and race shirts. 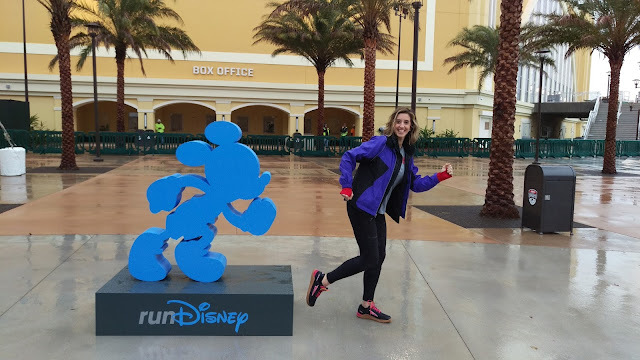 Stay tuned for the next recap: the WDW 5k, WDW 10k, and Cigna Blogger Event! I've heard nothing but disappointing things from people about this year's expo. It makes me a bit nervous and anxious about how the Princess expo will go. I am keeping my fingers crossed for you that Princess goes well! I think with SO many Dopey runners that HAVE to pick up packets on Wednesday, it just creates too many people in one space at one time. I wasn't pleased with the expo this year. The most disappointing thing for me was the lack of merchandise in my size. 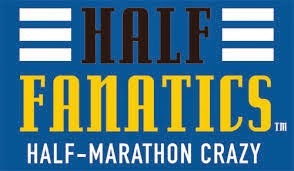 This was my first Dopey and first Marathon!!! All of the Dopey women's jackets and tanks were XL or XXL. They didn't have any 26.2 or 48.6 magnets left. This made me really, really sad. I did get an "I Did It" Dopey shirt...my friend calls those jinx shirts lol. But overall the rundisney merchandise was a let down since. 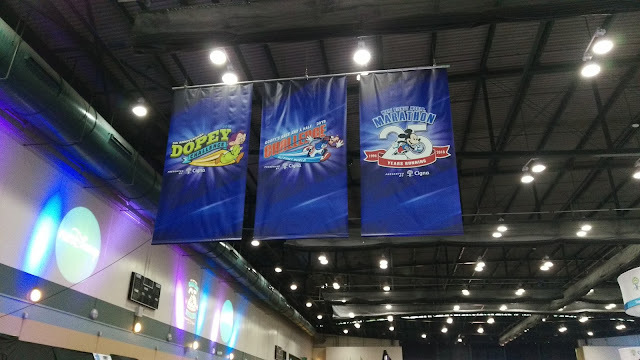 As for the expo portion, it didn't feel as exciting nor were there as many sponsor/fun booths in my opinion. I feel in the past that there were always f&b type vendors with samples, ABC has promoted new tv shows, car contests, etc. with wheels to spin and prizes to win. This was the first time I've gone to an expo and didn't have a husband waiting on me or a child to wrangle and I was disappointed at the experience. :( Can't wait to hear your recap on the races! Ugh, I share your frustration! We were so disappointed with the vendors- it really felt like there were less than there typically were. Congratulations on Dopey! Way to go!